PIKETON, Ohio -- Eight members of a family, including a mother sleeping in a bed with her 4-day-old baby next to her, were fatally shot in the head on Friday, leaving their rural town reeling while a manhunt was launched for whoever's responsible. 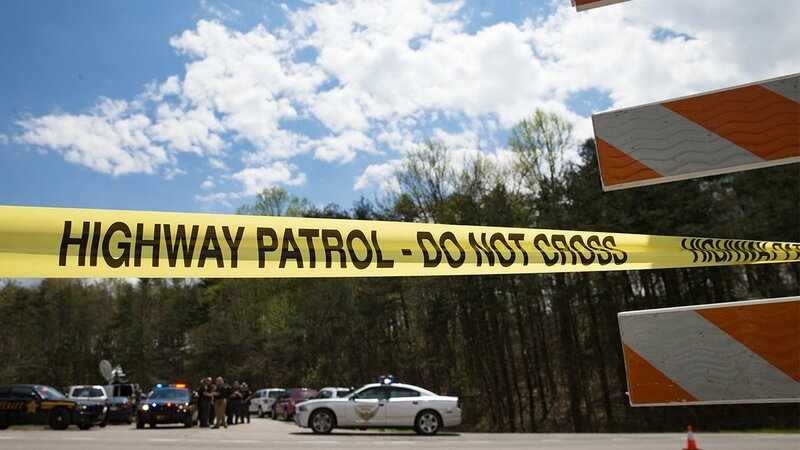 Three children, including the newborn, survived the grisly killings, which left seven adults and a teenage boy dead in four homes in Pike County, Attorney General Mike DeWine and Pike County Sheriff Charles Reader said. The economically distressed county in the Appalachian Mountain region has 28,000 residents and is 80 miles east of Cincinnati. DeWine said there were no indications that any of the dead killed themselves, and Reader said if the shooter or shooters are at large, they should be considered armed and "extremely dangerous." DeWine said, "There may be more than one, there may be three. We just don't know at this point." Some of the victims were in bed, indicating they were shot while they were sleeping, authorities said. The victims were identified as members of the Rhoden family. "It's heartbreaking," DeWine said. "The one mom was killed in her bed with the 4-day-old right there." A motive isn't clear, authorities said, but they urged other members of the Rhoden family to take precautions, and Reader advised all residents to stay inside and lock their doors Friday night. "This really is a question of public safety, and particularly for any of the Rhoden family," DeWine said. The first three homes where bodies were found are within a couple miles of one another on a sparsely populated stretch of road, while the eighth body, that of a man, was found in a house father away, the sheriff said. The other surviving children were 6 months old and 3 years old, authorities said. Reader wouldn't say where they were taken Friday. Authorities didn't release any information on whether there were multiple weapons used or whether anything was missing from the homes. Area resident Goldie Hilderbran said she lives about a mile from where she has been told a shooting took place. "I first heard about it this morning from our mail carrier," Hilderbran said. "She just told me she knew something really bad has happened," Hilderbran said. Gov. John Kasich, campaigning in Connecticut for his Republican presidential bid, said his office was monitoring the situation in Pike County and the search for the killer or killers. "But we'll find them, we'll catch them and they'll be brought to justice," he said.